Police stopped and searched hundreds more people in London, on reasonable suspicion they were terrorists, in the 12 months after random stops were scrapped in July 2010. The Home Office statistics do not show how many of those stopped were taking photographs at the time. Though police use of the once widely-used Section 44 anti-terror law has now ceased, officers still have the power to stop suspects under Section 43 of the Terrorism Act. Unlike the ?no suspicion? Section 44, Section 43 requires an officer to ‘reasonably suspect’ a person of actually being a terrorist, before conducting a stop and search to find out whether they are carrying anything that may provide evidence they are a terrorist. Section 43 stops rose by 237, to 1,283, in the year that followed the Home Secretary’s curtailment of Section 44 on 8 July 2010. This represents an increase of more than 22% on the previous year. And from 1 October 2010 to 30 September 2011 the number of stops made under Section 43 jumped 34%, compared to the previous 12 months. Of the 1,212 people stopped and searched under Section 43, 33 were arrested, the recently released figures show. The recent rise in Section 43 stops came on the back of a 42% fall ? down from 1,817 (July 2008-June 2009) to 1,046 a year later. However, the Section 43 figures are dwarfed by the number of stops made under Section 44 before it was abolished. Section 44 was used 75,494 times by police forces nationwide from July 2009-June 2010. Meanwhile, Section 47A of Terrorism Act 2000 ? which was brought in as a ?more targeted and proportionate? power to Section 44 ? was not used once by British police forces from April-September 2011, according to the figures. The Home Office’s published figures do not show how many of the 33 arrested under Section 43, in the year to 30 September 2011, were charged. Of the 33 people charged under various sections of counter-terrorism laws over that period, one was convicted of a terrorism-related offence. 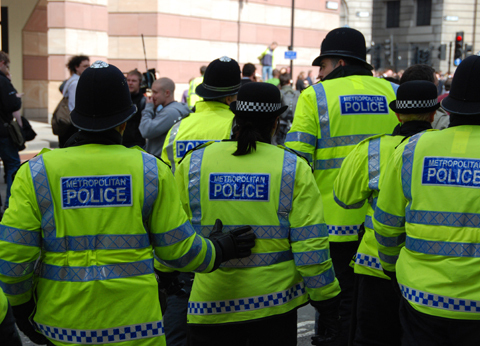 Earlier this year, the Metropolitan Police refused to reveal how many photographers it stops under anti-terror laws ? on grounds of cost ? following a freedom of information request lodged by Amateur Photographer. This was the second time the Met had rejected a freedom of information request submitted by the magazine. In recent years, amateur and professional photographers were at the forefront of campaigns calling for a review of terrorism legislation, after many protested that their freedom to take pictures in public was being abused. The Government published its counter-terrorism review last year.